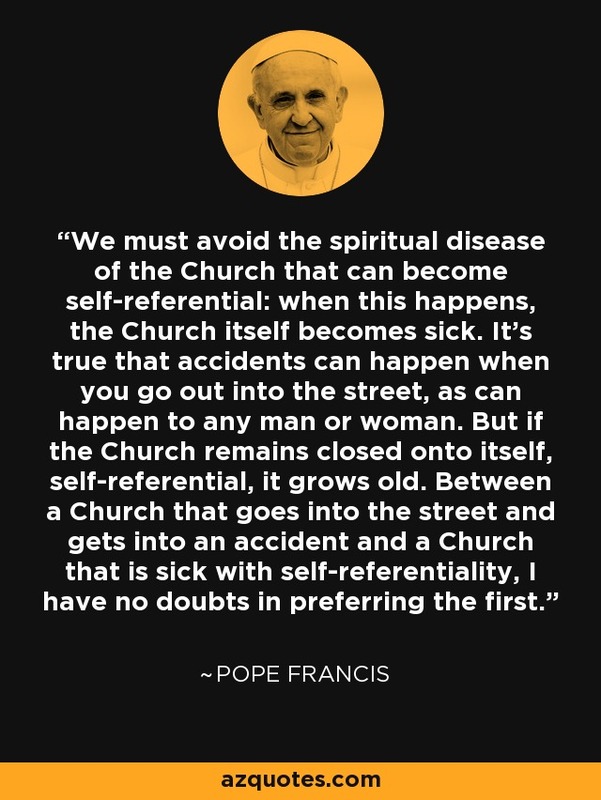 We must avoid the spiritual disease of the Church that can become self-referential: when this happens, the Church itself becomes sick. It’s true that accidents can happen when you go out into the street, as can happen to any man or woman. But if the Church remains closed onto itself, self-referential, it grows old. Between a Church that goes into the street and gets into an accident and a Church that is sick with self-referentiality, I have no doubts in preferring the first. "Pope Francis Against Rome". www.newyorker.com. March 14, 2013.